In the museum there are a lot of boxes containing archive paperwork, but these boxes have already been cleaned, dried and sorted by David Bathurst before I enter them on our database. This folder is different – and so are the contents. The boxes are sorted into companies but the folder isn’t! When I first saw it, I thought that it was a folder of luggage labels – straight forward – but as I turned the pages I could see that not only were they not all luggage labels but they were also from different companies, this made life more difficult as it was not straightforward but also a lot more interesting, with some companies I had never heard of and all sorts of information – I just had to read them all to see what they were all about! I thought that they were all luggage labels like these! 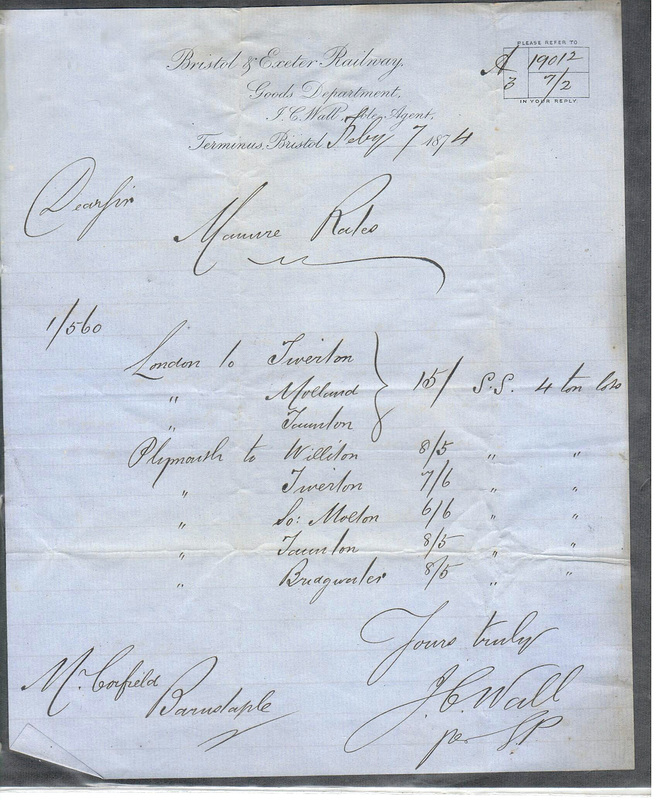 Then the next one came along, an 1874 quote for rates to carry manure!! I have stared at the word long and hard and can’t think of anything else it could be. 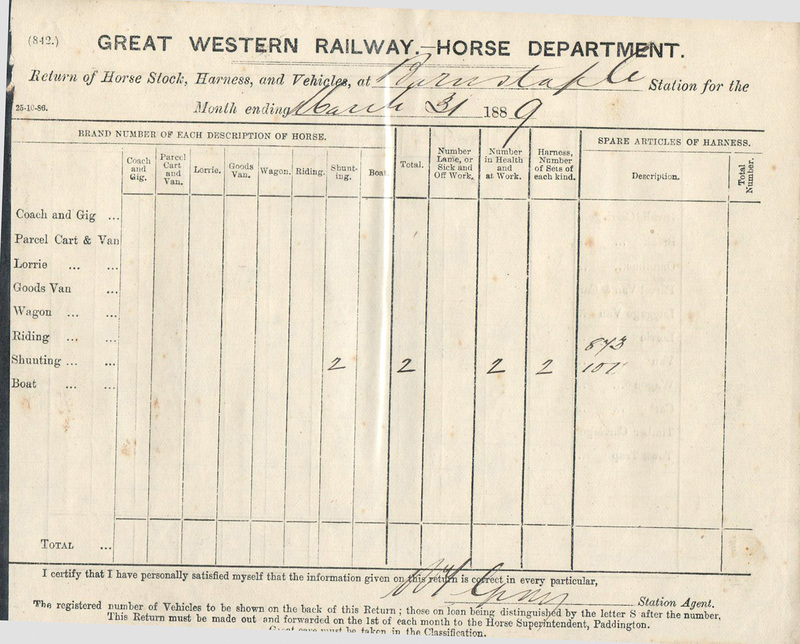 Then came the Great Western Horse Department! 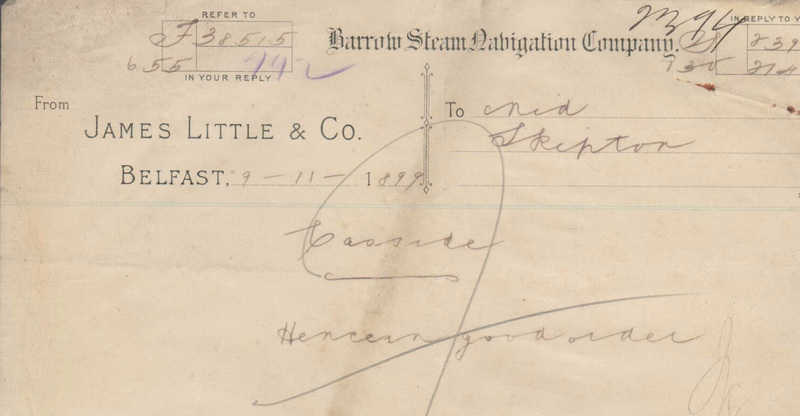 Now, an advice note from the Barrow Steam Navigation Company, dated 1899, for transport from Belfast to Skipton. 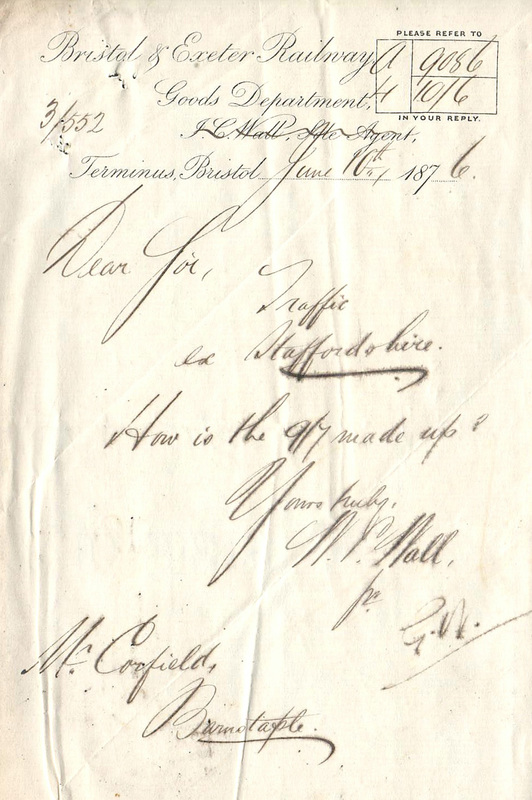 And finally for this time, an 1876 enquiry from the Bristol & Exeter Railway Company about the cost of transport from Staffordshire. Asking how the 9/7 is made up. That’s the old money version, in new money it’s 48p! 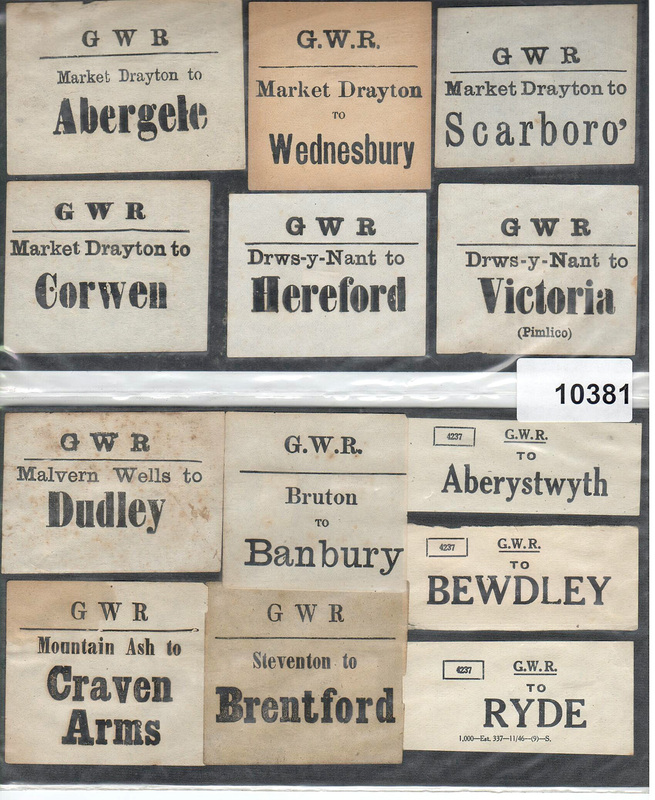 This entry was posted in From the Archive and tagged Barrow Steam Navigation Co., Bristol & Exeter Railway, Brownhills, Chasewater Railway Museum, England, GWR, Old Railway Lines. Bookmark the permalink.